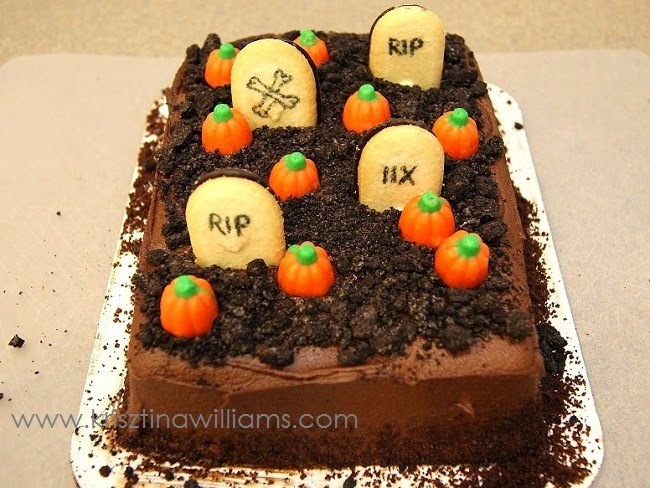 A graveyard cake is always a popular centerpiece for a Halloween dessert table, but some versions can be complicated and intimidating. 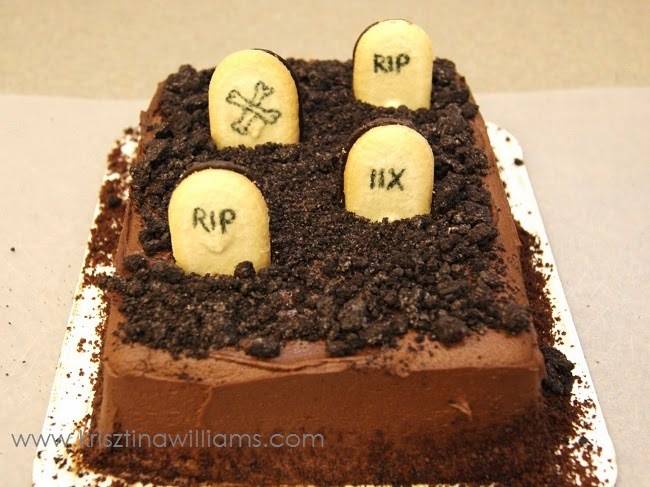 My Easy Graveyard Cake is easy enough for beginners yet looks great, and it's a Halloween dessert you can make at the last minute, especially if you start with a store-bought sheet cake. For the base I used a chocolate sheet cake. Luckily I found a premade Hershey's Perfectly Chocolate Cake at Walmart, but any chocolate sheet cake will do. If you want to make it from scratch, try the recipe for "Hershey's Perfectly Chocolate" Chocolate Cake. Cover the top with chocolate wafer crumbs to create the look of dirt. 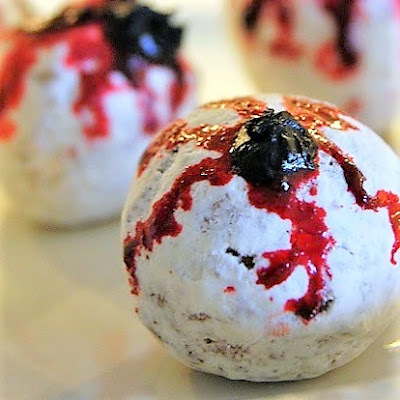 Simply place the cookies in a plastic bag, seal, and crush with a rolling pin or whatever you have on hand. 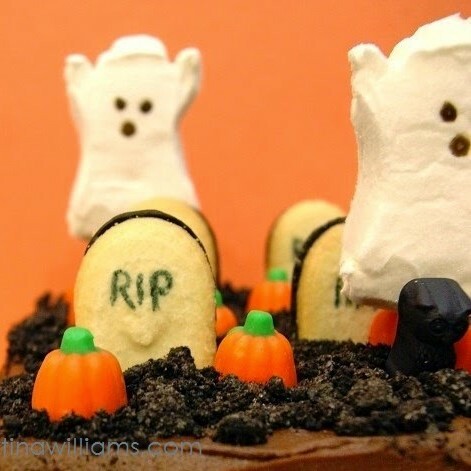 I used Milano cookies for instant edible headstones. For a realistic touch, use a black food decorating pen to write on the headstones. 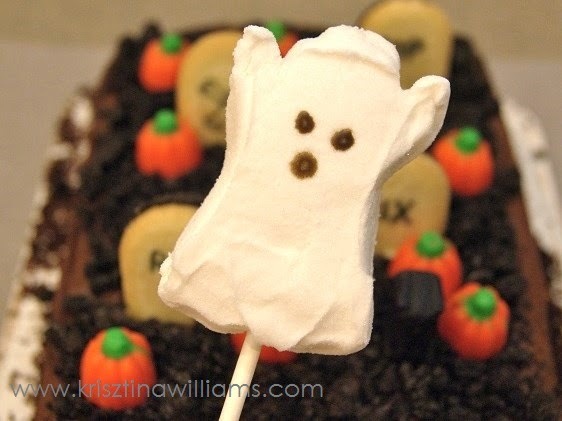 You can add extra touches to your Easy Graveyard Cake with pumpkin candies, marshmallow ghost peeps, and gummi creatures. I used candy pumpkins, gummi owls, and ghost peeps. To make the ghost peeps float above the graves, insert a lollipop stick into the peeps and place each one behind a tombstone. Happy Halloween! 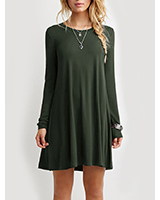 Well now that looks tempting!